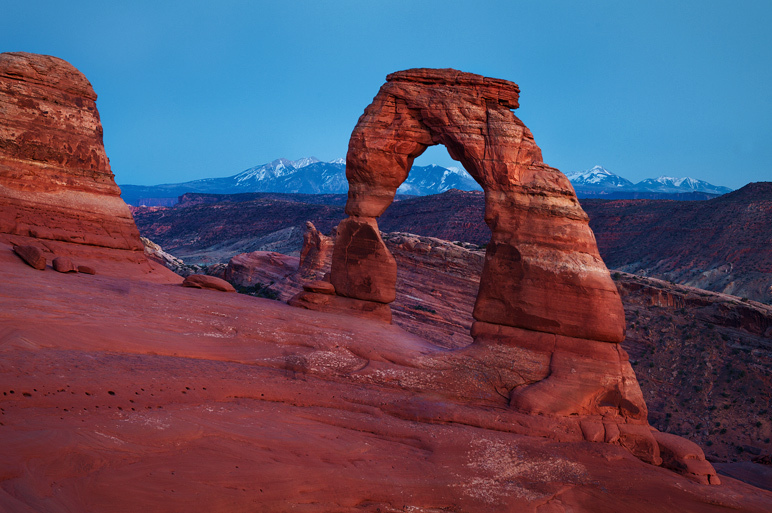 The most famous icon in all of Utah - Delicate Arch pictured here at nightfall. It was my first visit to the arch and although it was crowded I could not have been more impressed. A close up view certainly leaves a lasting impression. Eventually the crowds thinned and it was just myself and a few others that shared this moment. Photo © copyright by Michael Greene.